There are days when you wish you were a magician. If you were, all problems would be fixed with a click of your fingers. No more thorny predicaments. No more half-baked ideas. No more unfinished business. One finger-pop and you’d solve everything, quick and painless. But Abracadabra is never that simple – or is it? 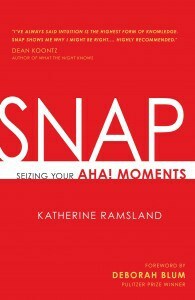 In the new book “SNAP: Seizing Your Aha! Moments ” by Katherine Ramsland, you’ll see that you shouldn’t worry about your fingers. It’s your mind that should be snapping. You know how it goes: you spot a problem that stymies you. Frustrated, you head for bed and sleep… until your subconscious gets done chewing on the problem and the solution smacks you awake. Problem solved. Ramsland says that it is, but it requires some preparation and the implementation of three basic steps: scanning, sifting, and solving. Overall, it’s not what you think about the problem, but how you think. Scanning seems to involve an immersion in the issue itself, and a certain “bliss” or “flow” with the situation as a whole. You’re interested in the product or end result – maybe even passionate about it – so finding a solution becomes imperative. You feel like you’ve “slipped into the most comfortable clothes… ever owned,” and you simply know everything is right. A certain amount of synchronicity even comes into play; you’re being aligned for where you need to be to achieve a positive end result. The best way to sift is to know as much about the issue as you can, and try to see it from new angles. Your “cognitive map” may get in the way here, so move past habits and old paradigms. Look at the problem from other angles. Keep your mind flexible. Harness your flow. Focus, but don’t despair if your mind wanders. Wishing you could do a little prestidigitation on a problem? “Snap: Seizing Your Aha! Moments” isn’t magic, but it will help you with a different kind of mind-reading. 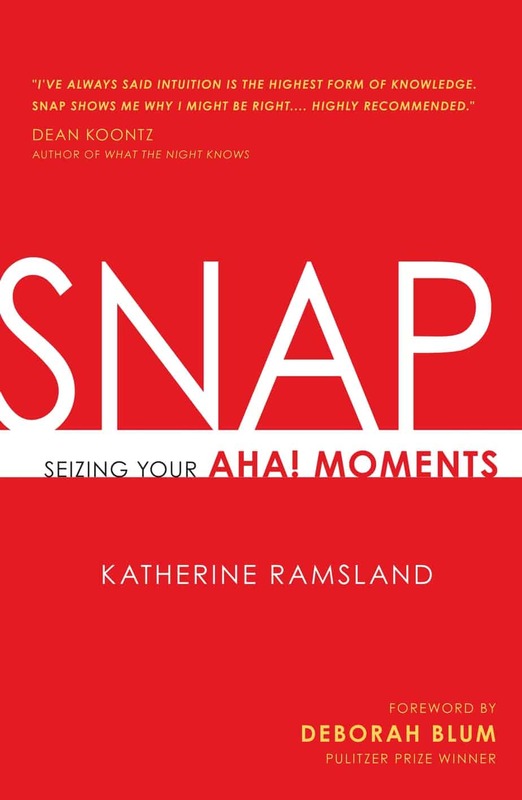 Using dozens of real-life examples from science, business, medicine, and more, author Katherine Ramsland proves that problem-solving can be effortless in the right circumstances and with a little practice. Her instructions are easy to implement, those anecdotes are an awful lot of fun to read, and I was intrigued by her assertion that learning to mine Aha! moments isn’t just for grown-ups. Parents can teach their children to do this, too. While this is a particularly great book for entrepreneurs, I think it’s also a worthy read for anyone who gets stuck while problem-solving. If that’s you (and you know it is), then “Snap: Seizing Your Aha! Moments” is a book you’ll want to get your fingers on.